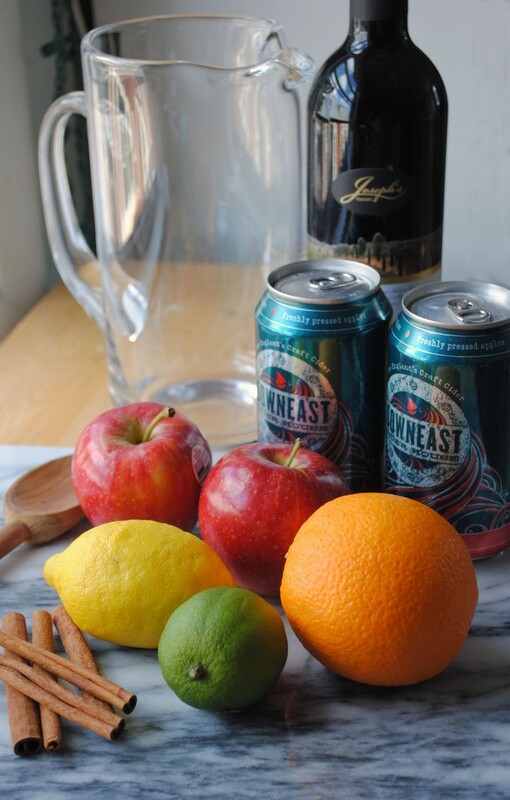 I have a little Fall-inspired cocktail to share today as we gear up for the weekend: Apple Cider Sangria. I made this last weekend and it delicious — I love creating a pitcher of pre-made drinks when having friends over, it’s nice to have something already prepared so you can dive right into the party! 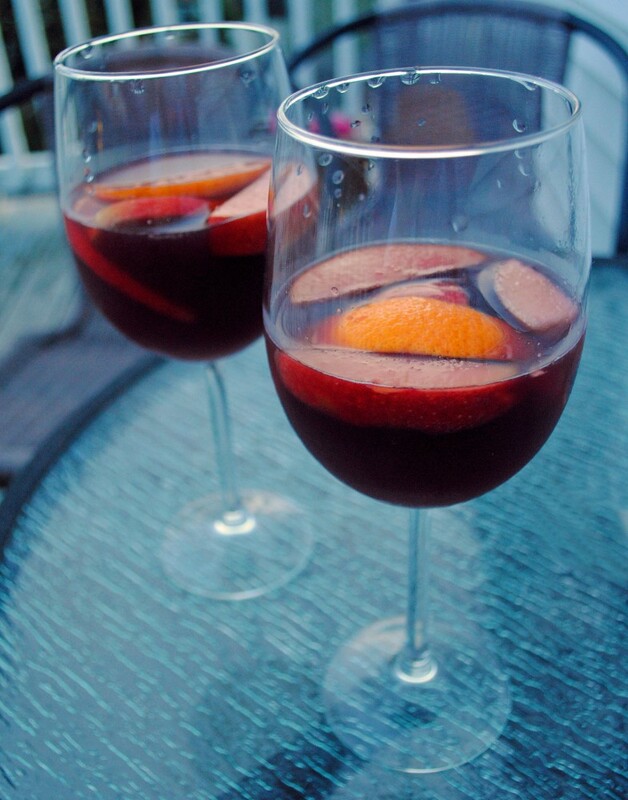 To make the sangria, I chopped up two small apples, a half an orange, a few slices of lemon, and some cinnamon sticks and poured a bottle of red wine over the top. I let the red wine soak in the fruit overnight, and right before it’s ready to be served, I poured in a can and a half of hard apple cider (I used Down East cider — one of my favorites and totally delicious on its own — which is why I finished the other half of the second while making dinner!). 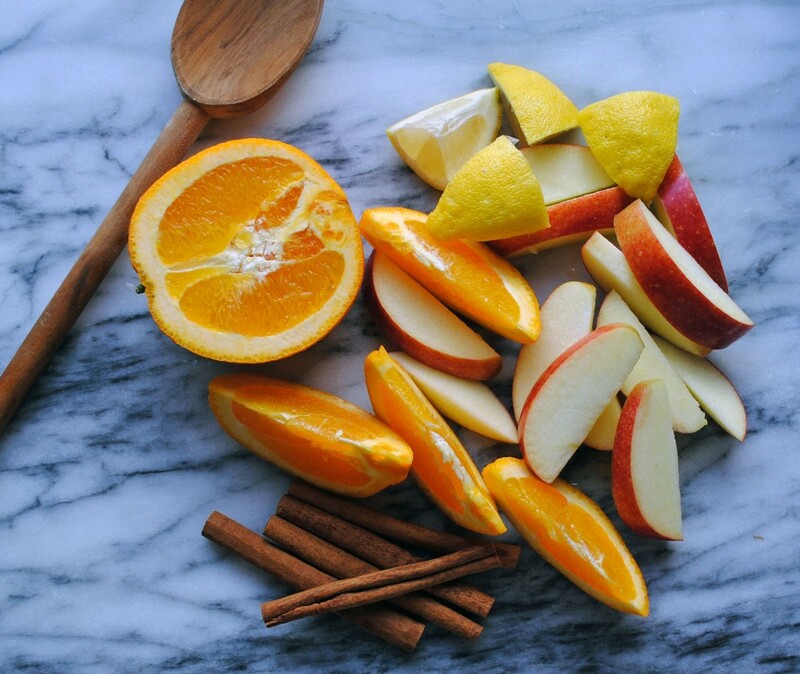 Be sure to scoop out some of the fruit into your glass when you serve it — cheers! A cheese plate. Caught My Eye. 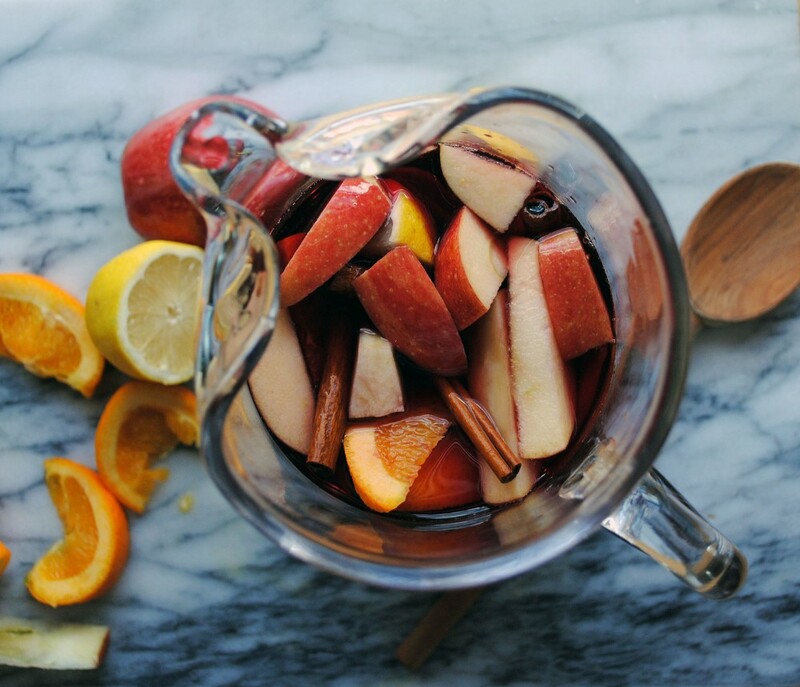 5 Responses to "Apple Cider Sangria." Oh.my.goodness. Bookmarked… and maybe trying this weekend 🙂 Thanks! Oh yum that sounds SO yummy! This is genius–making this for my roommates ASAP. Thanks for sharing the post domestikatedlife.